Too Many Zooz will be performing on April 18 in Providence. | Photo courtesy of Too Many Zooz. The band is comprised of three members; Leo Pellegrino on saxophone, Matt Muirhead on trumpet and David Parks on drums. They started playing together in 2013, but didn’t officially become a band until 2014. The band’s name wasn’t actually thought of by a member of the band and there are about 10 people claiming to have come up with the name themselves. The band is influenced by artists like Michael Jackson, David Bowie and James Brown and refer call their genre brass house. “What I think that means is the chemistry of a jazz trio mixed with the energy of a DJ,” said Pellegrino. In 2016, the band was asked to perform with Beyoncé at the Billboard Music Awards. Pellegrino, while admitting that he felt a lot of pressure, also had a great time performing with her. Pellegrino also said that his favorite thing about performing live is the adrenaline rush and performer’s high that comes with it. 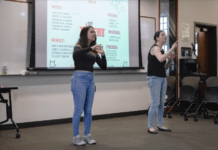 “Fortnite used my dance move in the video game and they make money off of it and aren’t giving me any credit,” Pellegrino said. 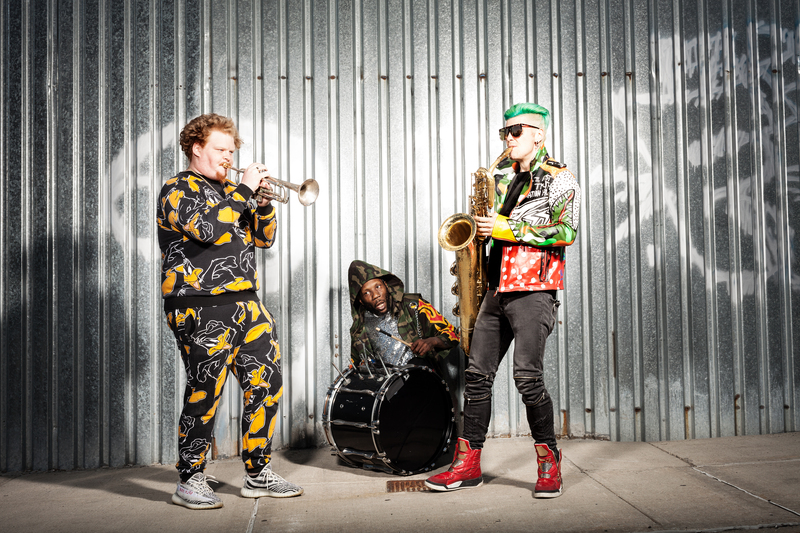 Steve Hutton has been “Too Many Zooz’s” manager for approximately the past two and a half years and thinks that the group has gotten better at putting on live shows. 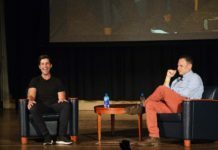 “The live show has become more of a performance, whereas at first they were just going on raw talent and now it’s more of a thought-out performance,” said Hutton. 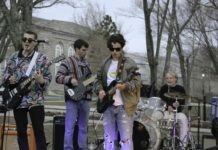 Looking towards the future, the band hopes to tour more parts of the world and perform for larger audiences. “Too Many Zooz’s” music is available on Apple Music and Spotify.